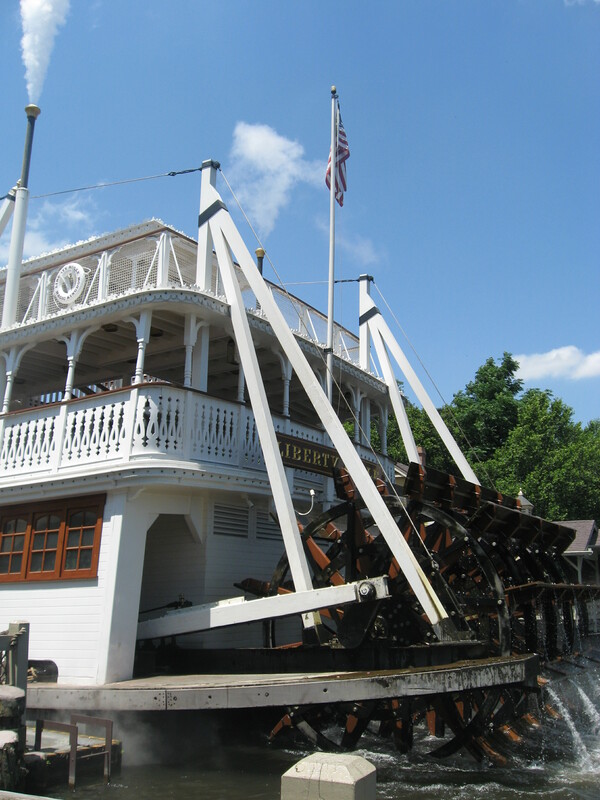 During your visit to Liberty Square, it’s hard to miss the stately paddle-wheeled riverboat that floats along the Rivers of America. This grand vessel is the Liberty Belle and is a replica of the historic steamboats that once traveled up and down the Mississippi River. 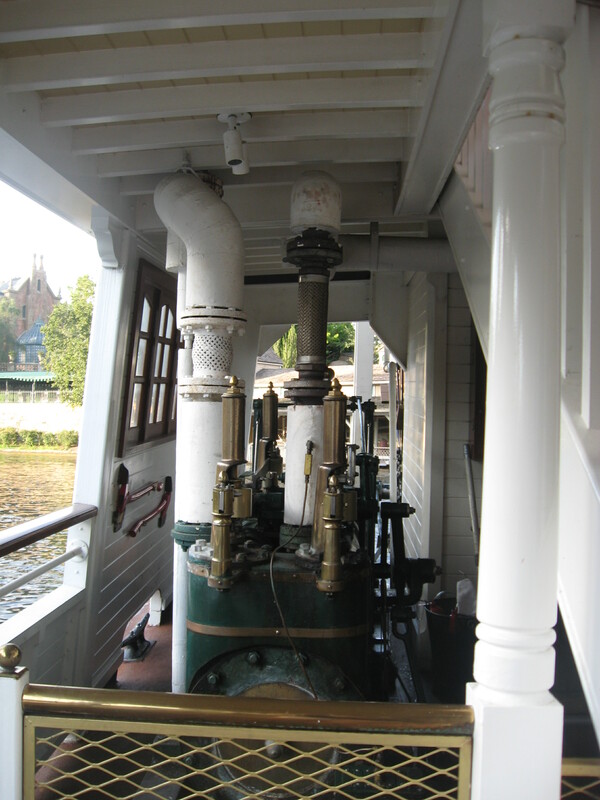 The Liberty Belle is a real working steamboat and if you ride on the lower Main Deck, you can get a good view of the boiler and pistons that work the paddlewheel. Not only is the Liberty Belle a great way to unwind and catch some neat scenery, it’s full of educational tidbits. 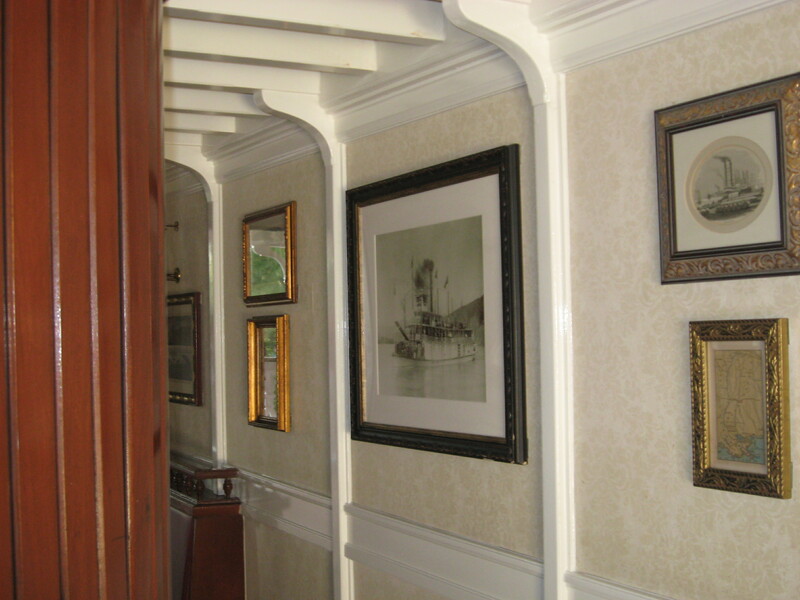 Take a walk on the second level Promenade Deck and you’ll find an enclosed salon that houses maps, photographs, and 19th century artifacts related to travel on the river. Be sure to listen closely to the audio narration during the tour. You’ll hear the captain and his friend, author Sam Clemens, explaining all kinds of things: engine room commands, how to measure a fathom, Native American tribes and customs, and what the term “mark twain” really means. 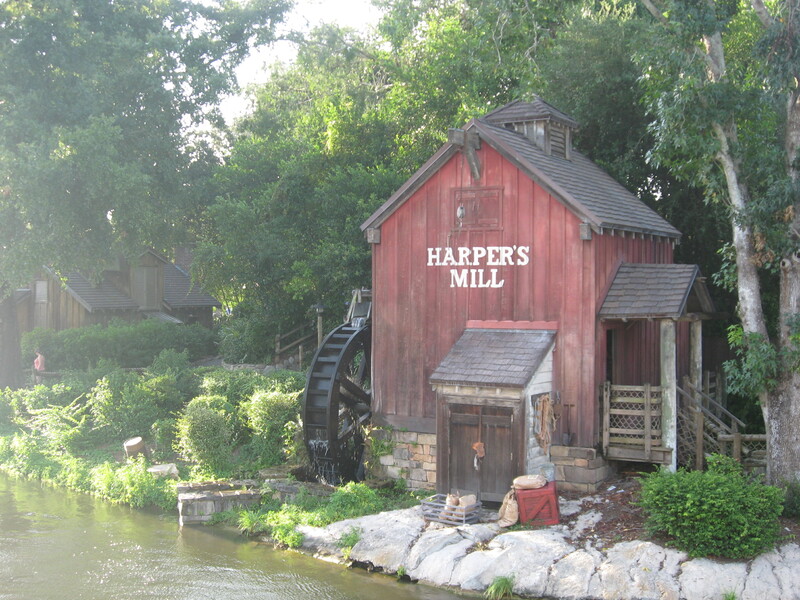 And kids who are reading Tom Sawyer may get a kick out of seeing and hearing about the book’s famous landmarks on Tom Sawyer Island. Be aware that guests enter the Liberty Belle on the middle deck and exit on the bottom deck, but it is wheelchair accessible. 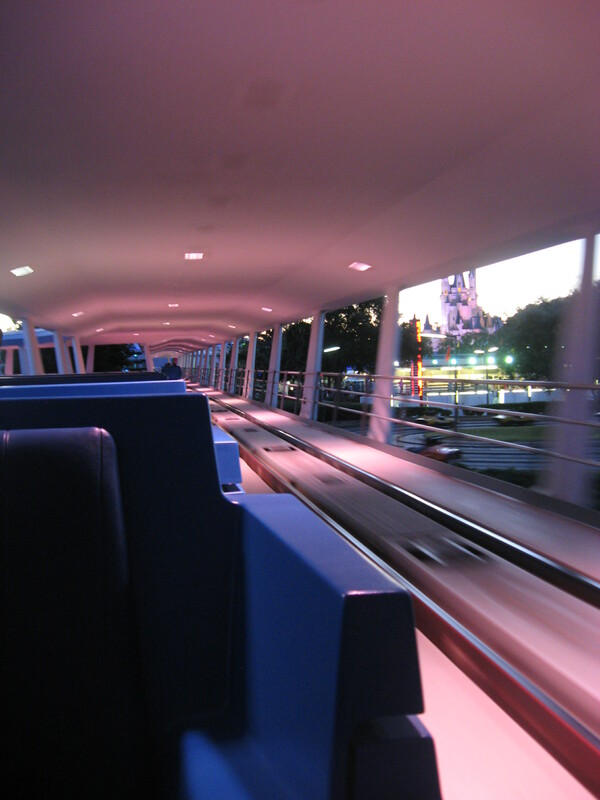 The best places to hear the audio during the ride are under cover on the middle deck or on the bottom deck. Also note that the Riverboat usually stops running around dusk, so be sure to check the Times Guide for the day’s operating hours. 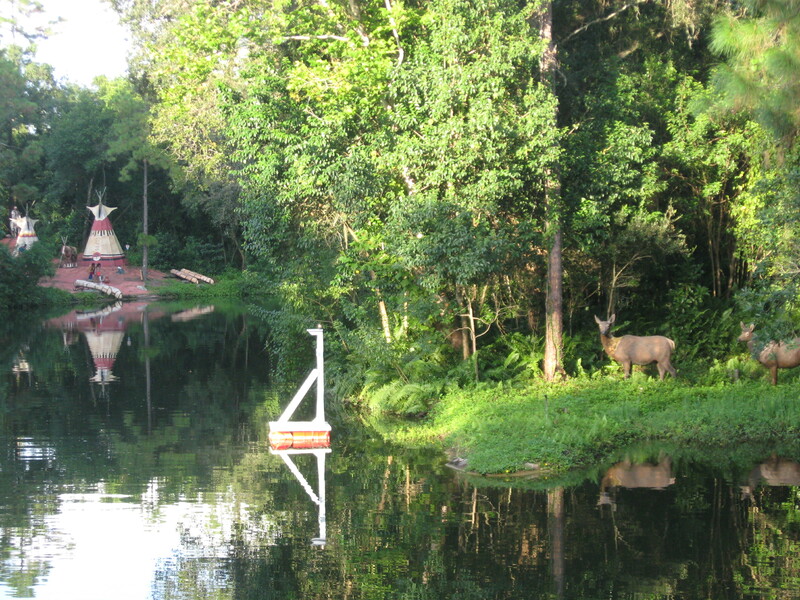 This is definitely one of Magic Kingdom’s most popular attractions, and it has a rich history. 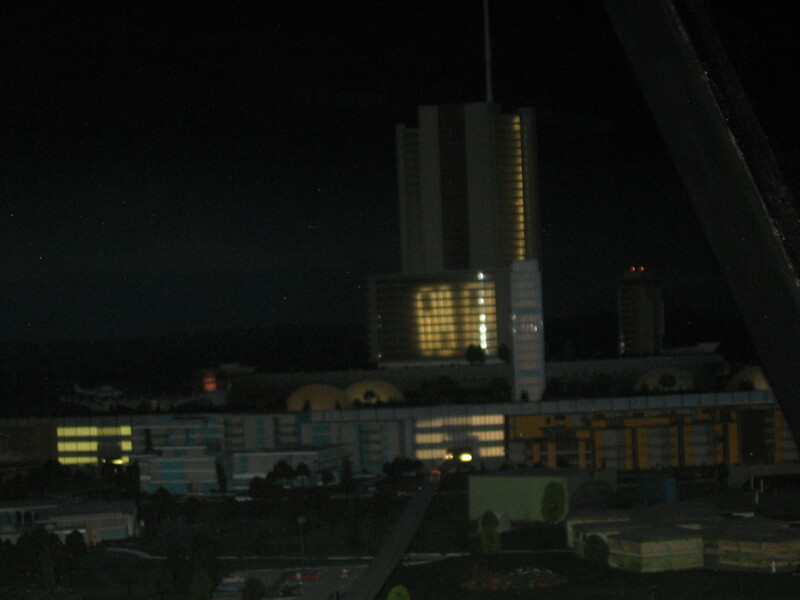 It was originally created for the 1964 World’s Fair in support of UNICEF. It was a huge success there, and has been a hit at Disney Parks all over the world ever since. 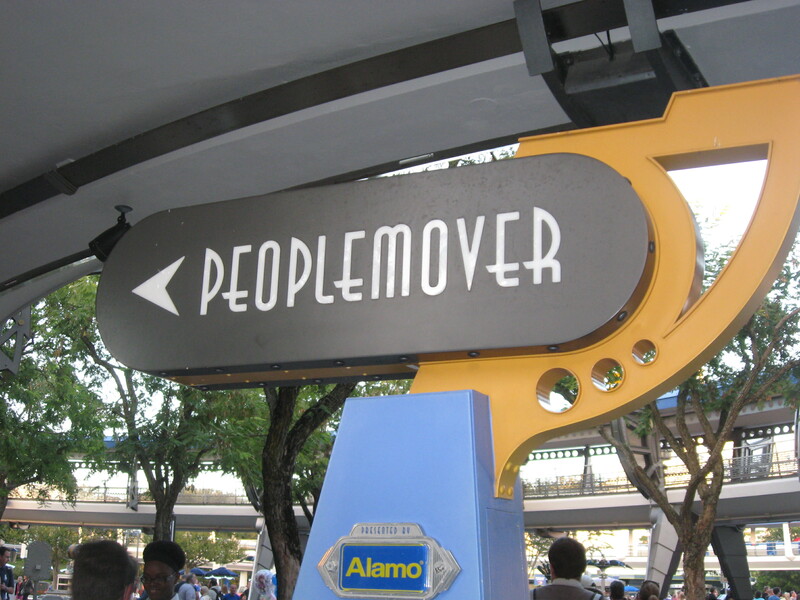 Each Disney Park worldwide has its own version of the attraction. Besides it being a cute and fun experience for all ages, it offers a terrific introduction to world cultures and global social studies for young children. As you float down the Seven Seaways Waterway, you’ll encounter bright and colorful landscapes and traditional costumes from all around the world. Each room represents a different continent or region. And although it may be hard to tell, the language in which the famous song is sung changes to match. As you ride you can encourage children to point out famous landmarks they might know, or the countries they are associated with, such as the Eiffel Tower, the Taj Mahal, or the Egyptian pyramids. And before you disembark, you can practice saying “good-bye” in different languages. 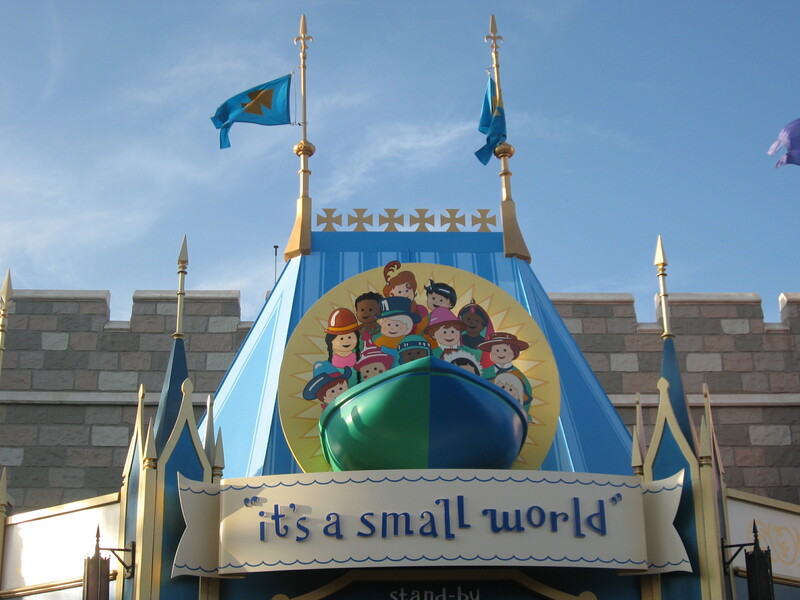 Many people know that Mary Blair, known for her particular visual style, was behind the design of “it’s a small world.” But you may not realize that the costume designers used authentic materials and fabrics from each region for all 300 costumes in the attraction. Talk about attention to detail! When you step into Liberty Square, you are transported to a time when freedom and revolution stirred the hearts of American colonists. The attention to detail in this land is truly remarkable. 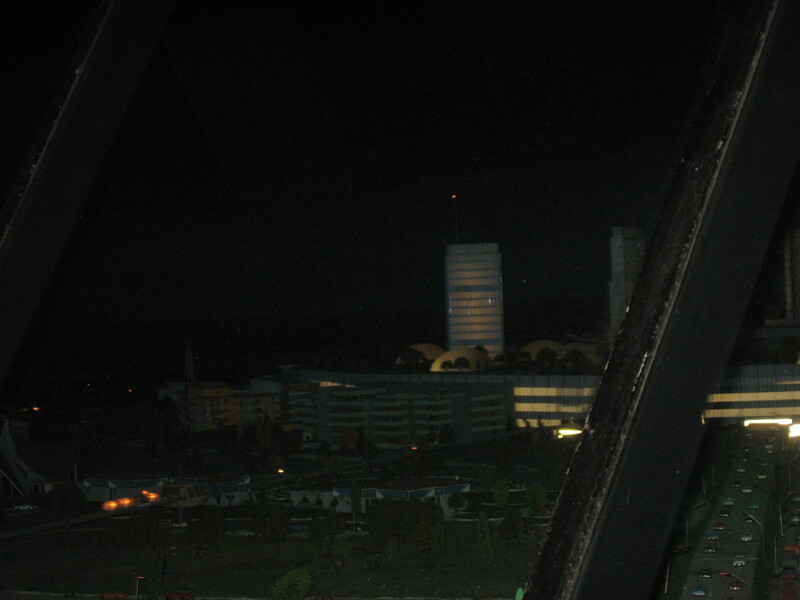 And it is home to some great attractions, shops, and restaurants. But there is one area you might not notice too much, even though it’s right in the heart of Liberty Square. 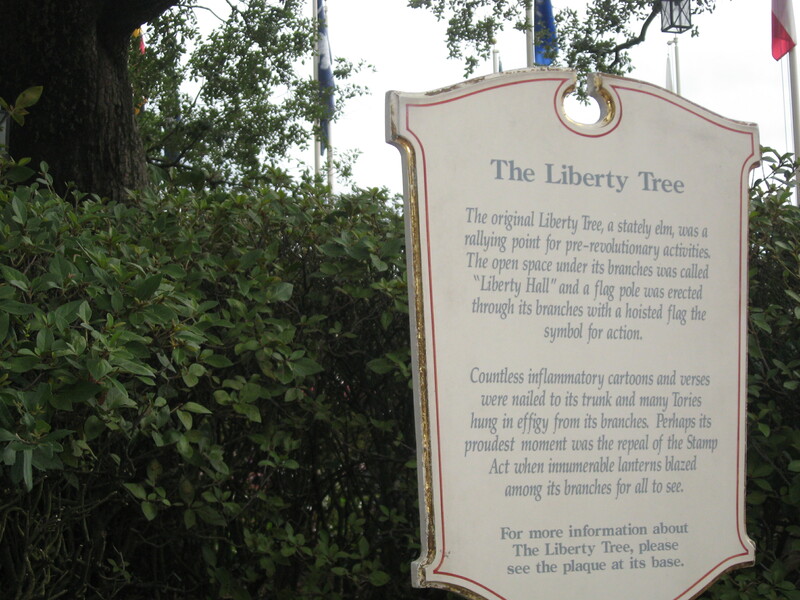 The Liberty Tree stands to the left as you enter the square, directly across from the Hall of Presidents. 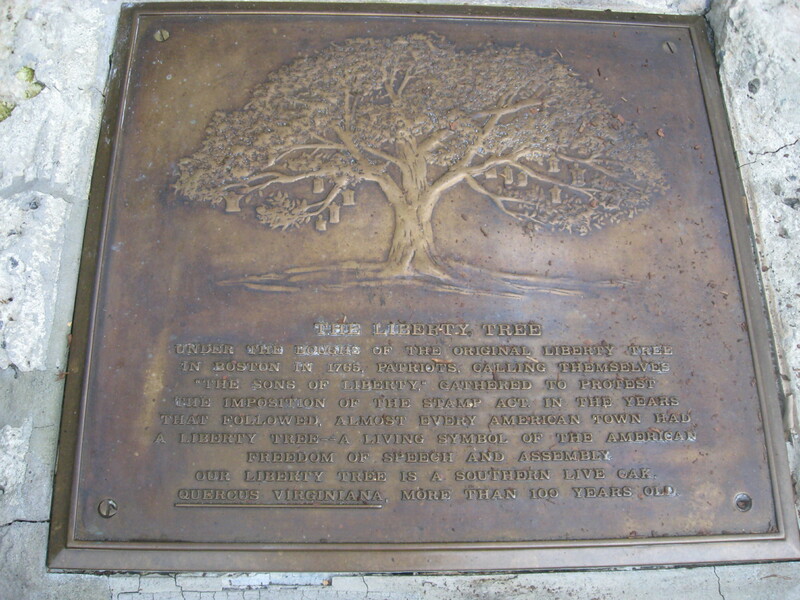 Plaques at its base explain that liberty trees were common in American towns during Revolutionary times. They were a place for people to gather for speeches and rallies, and to organize for their causes. The lanterns that hang in the tree harken back to the repeal of the Stamp Act. There are thirteen lanterns among the branches to represent each of the original thirteen colonies. See if you can spot them all. 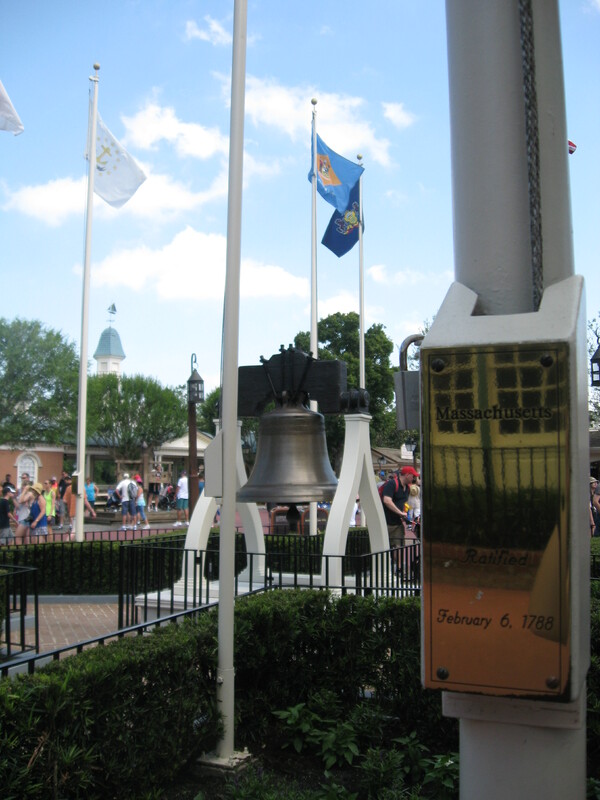 Nearby, you can also find a replica of the Liberty Bell surrounded by thirteen flagpoles representing the colonies. 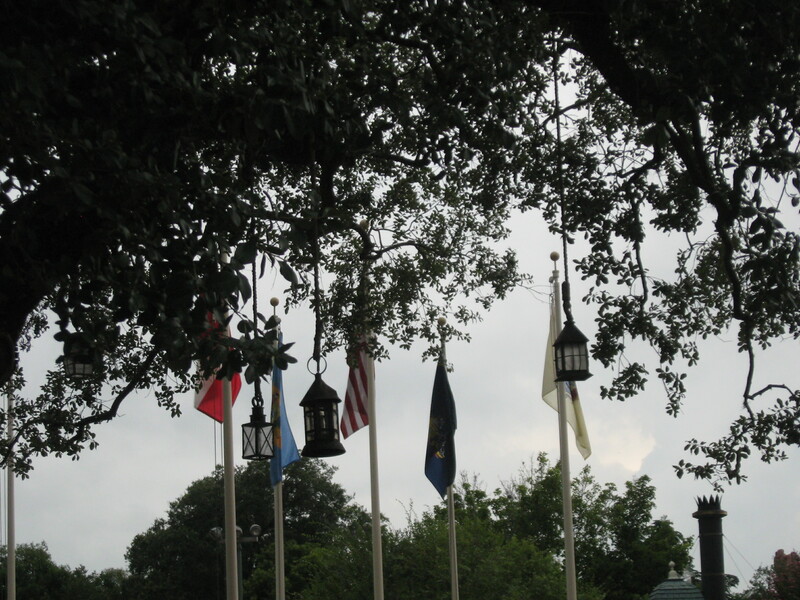 Each flagpole displays the current state flag and the date that each state ratified the Constitution. The Liberty Bell is cast from the same mold as the original Liberty Bell. Brush up on your American History as you wander through Liberty Square. Be on the lookout for Paul Revere’s two lanterns and for Benjamin Franklin’s four arms symbol indicating a house protected by his fire insurance company. This is a great spot for history buffs to explore. 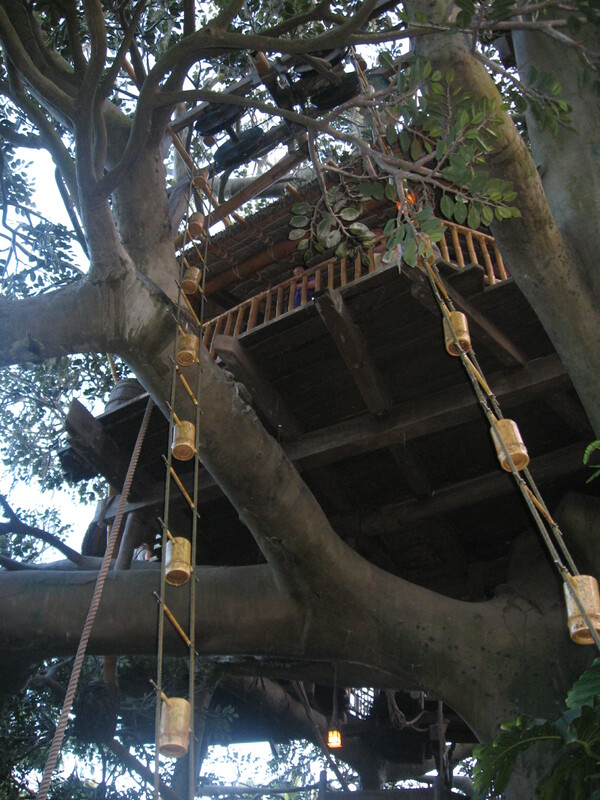 One of the first attractions you will see as you enter Adventureland is the impressive Swiss Family Treehouse. It was one of the original attractions to Magic Kingdom when the park opened, and it remains a classic favorite for many. 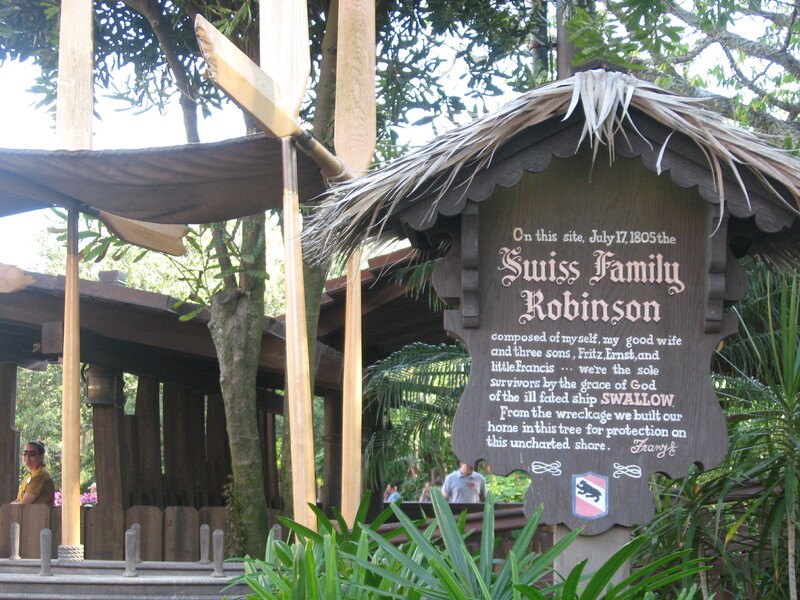 For young children or those who don’t remember the story of the Robinson Family, there is a plaque just outside the entrance to the tree that explains how the treehouse came to be. The Swiss Family Treehouse is an engineering marvel. As you walk through, notice the many parts and pieces from the wrecked ship that the family used to construct their new home. Challenge kids (or yourself) to identify as many parts as you can. Perhaps the most impressive of the family’s constructions is their method for obtaining running water. 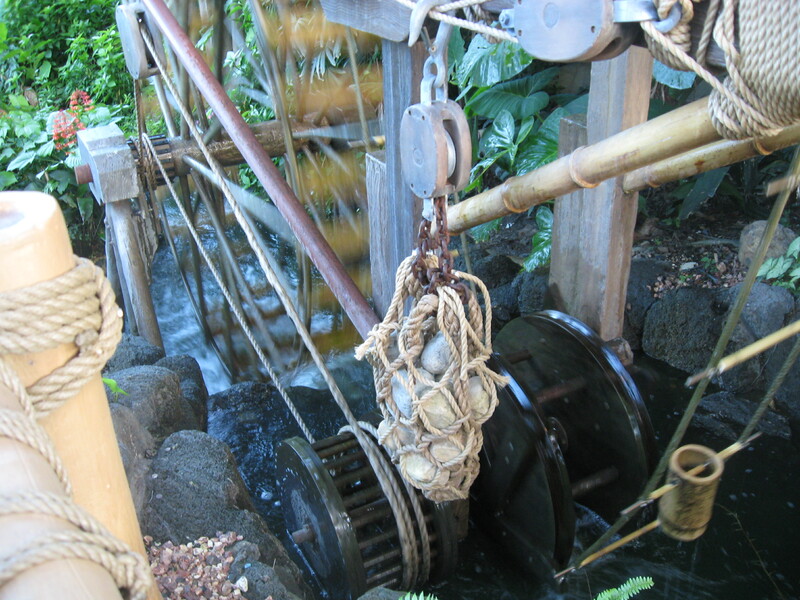 It begins with the great waterwheel at the bottom of the tree and an inventive pulley system that brings the water to the top branches. You can trace the path of the water from that system, down the channels of bamboo troughs, to its final destination in the kitchen. The Swiss Family Treehouse is open to all ages, however be aware that it is a walking attraction and does contain many stairs (116 to be exact). 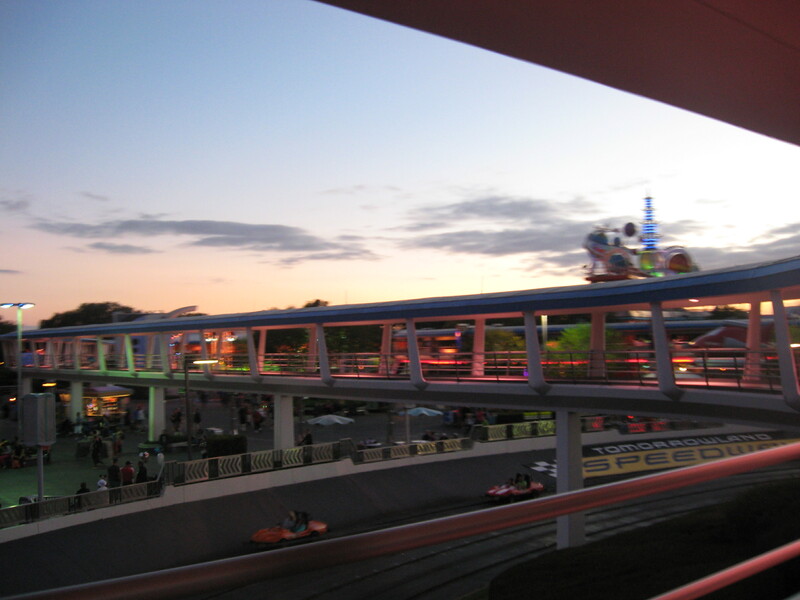 But those who make it six stories to the top will be rewarded with spectacular views of Magic Kingdom. Older kids studying simple machines and those with an interest in old world technology will definitely get a kick out of this attraction. It’s the first thing you see when you step up to the Magic Kingdom, even before you see the iconic castle. 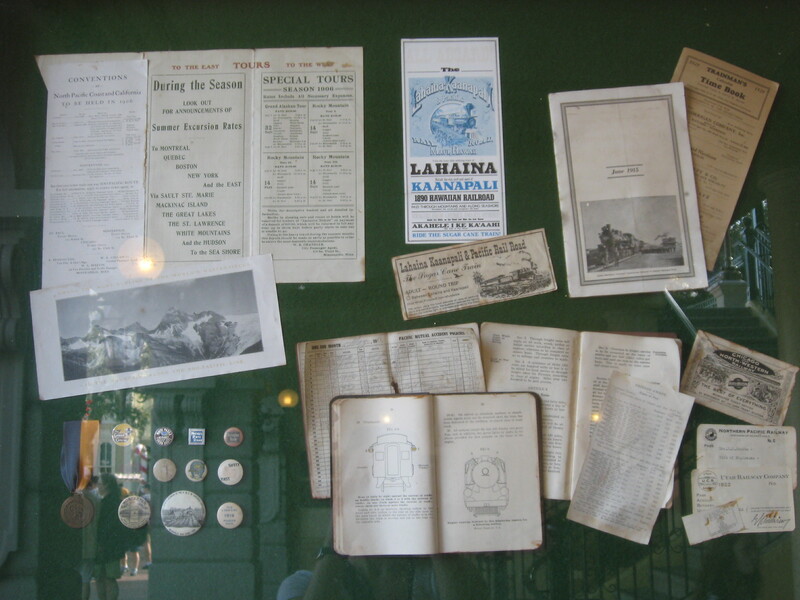 The Main Street Train Station acts as the “curtain” to Magic Kingdom’s “show.” And it’s full of neat things that shed light on the history of railway travel in the U.S. The Main Street Train Station offers two stories and lots to explore. On the ground level, you’ll see lots of maps depicting early train routes. 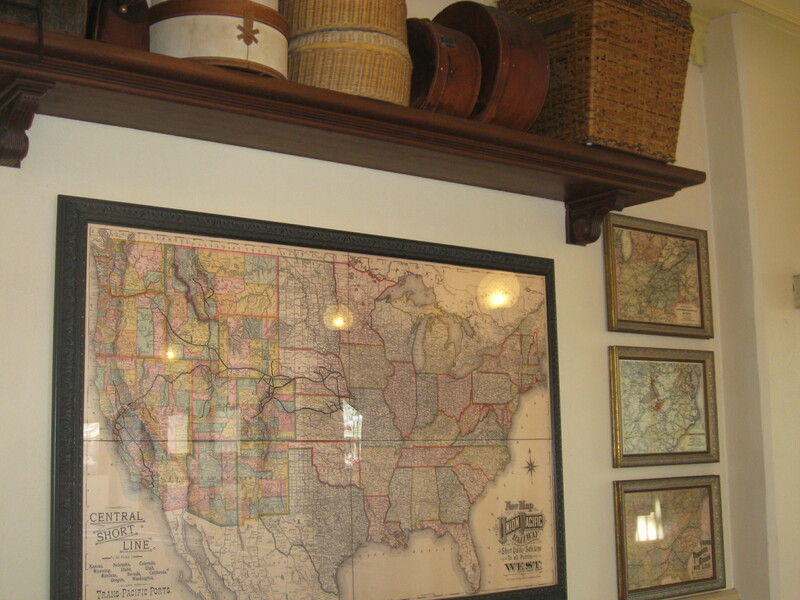 (We can’t help humming “On the Atchison, Topeka, and the Santa Fe” whenever we peruse the maps!) See if you can find which railways ran through your town or state. Throughout the ground level, you’ll also see framed locks and keys, miniature train engines, brochures and timetables, and framed pins and patches from many railways across the country. The locks were used by most railroads as a measure of security, often locking railway switches. Badges and pins were worn to identify which railway an employee worked for, or their rank. See how many you can identify in the frame on the East side of the station. The Walt Disney World Railroad itself boasts 4 authentic steam engines restored from the early 20th century. You can find descriptions of each throughout the ground level. Make your way upstairs to the balcony overlooking Main Street, U.S.A. You can peek into the ticket and telegraph office for a look at some of the old equipment that was used to send messages across the country – before telephones. Head into the waiting room to find a collection of old arcade games and two great murals hanging on each end of the room. One mural shows the completion of the Transcontinental Railroad, and a plaque features President U.S. Grant’s words on the grand occasion. The other mural depicts the process of building America’s railroads and the resources it took. From felling trees to building the trestles, America’s forests are honored here. Hop on the train for a “grand circle tour” of Magic Kingdom. You’ll be treated to a relaxing ride through various landscapes and catch a glimpse of Native American life along the way. For even more in-depth information on the Walt Disney World Railroad, take Disney’s The Magic Behind Our Steam Trains Tour. For an extra fee, you can go behind the scenes to see where the trains are housed, learn how the engines work, and get more history on Walt Disney and his love of trains. This is a great choice for adult train enthusiasts.